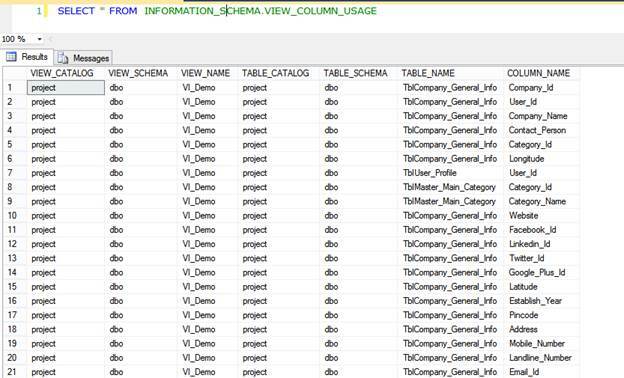 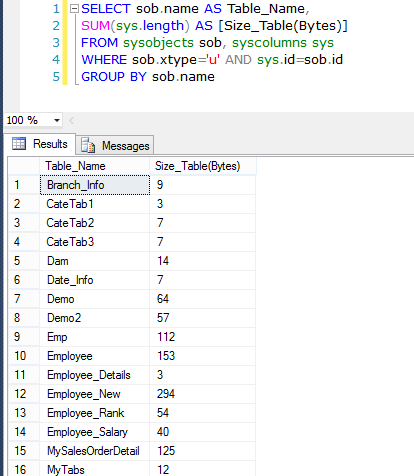 In this article you will learn about 50 Important Queries in SQL Server. 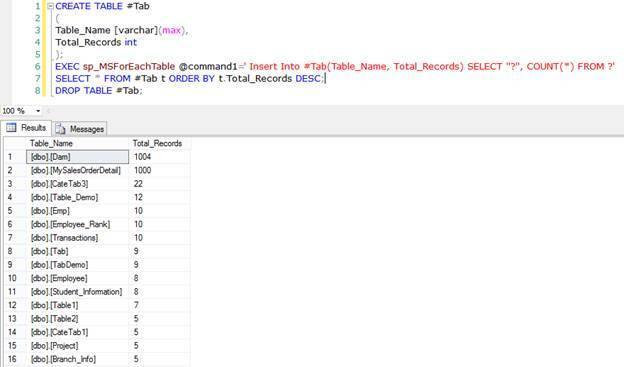 EXEC sp_helpdb, exec sp_helptext, EXEC sp_updatestats, EXEC sp_MSforeachtable, SQL query for version name of SQL Server, Enable a SQL Trigger, Disable a SQL Trigger, EXEC sp_recompile, sql query for First Date of Current Month, Swap two column values in SQL, Remove all stored procedures, Remove all views from database, Drop all tables. 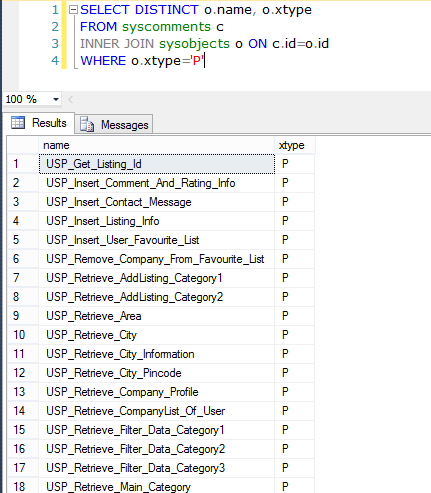 In this article I will explain some general purpose SQL queries. 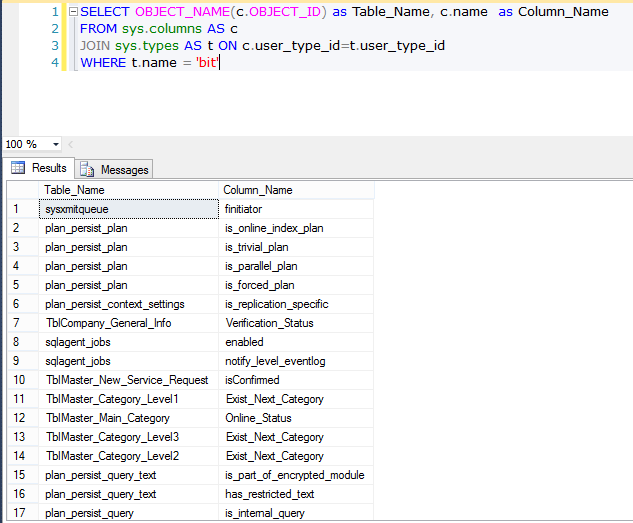 I think each developer should have knowledge of these queries. 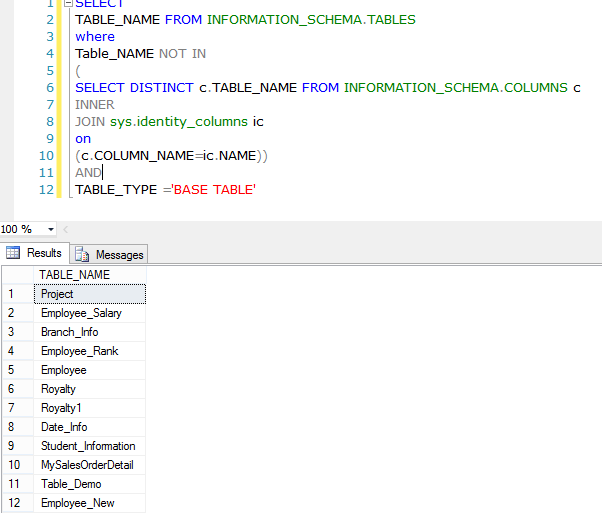 These queries are not related to any specific topic of SQL. 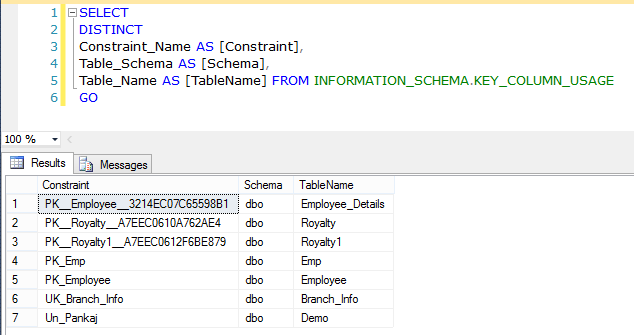 But knowledge of such queries can solve some complex tasks and may be used in many scenarios, so I decided to write an article on these queries. 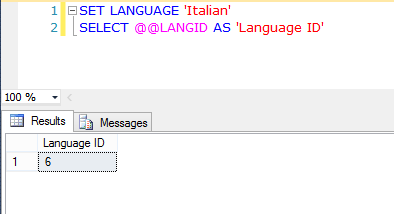 To retrieve the View use “V” instead of “P” and for functions use “FN. 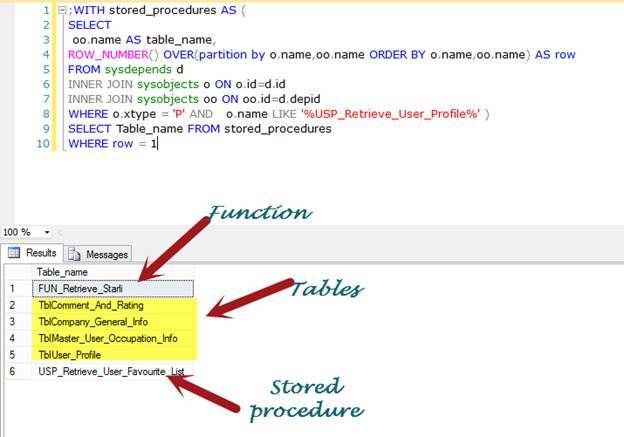 This query return all objects name that are using into stored procedure like table, user define function, another stored procedure. 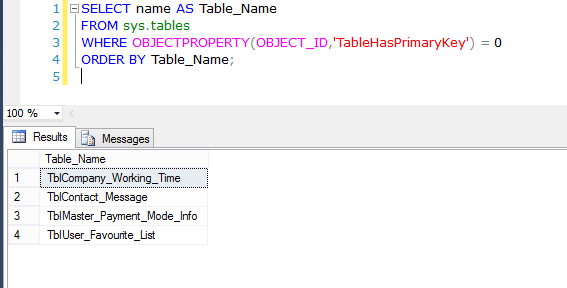 We can disable and enable all triggers of a table using previous query, but replacing the "ALL" instead of trigger name. 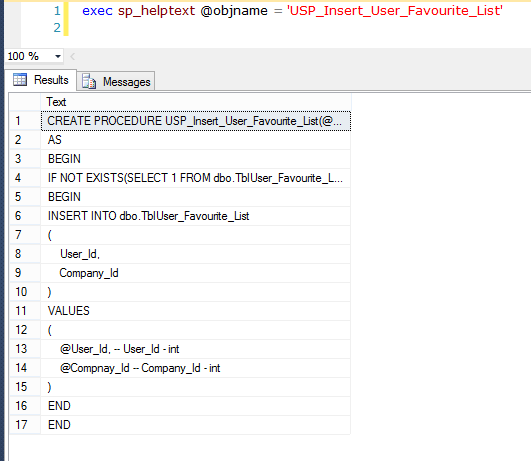 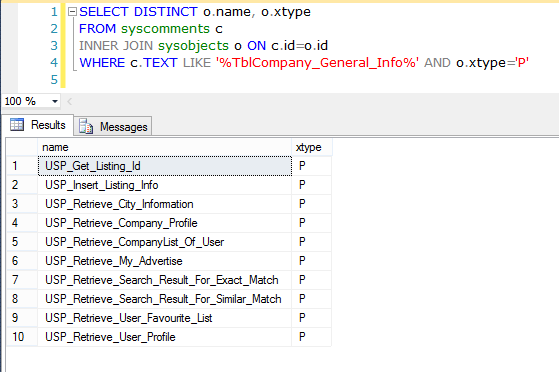 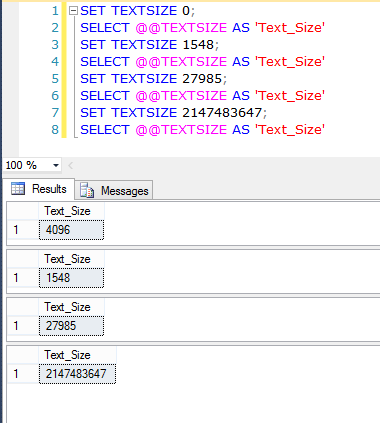 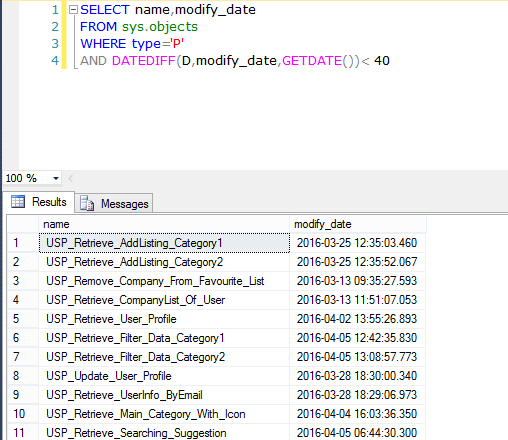 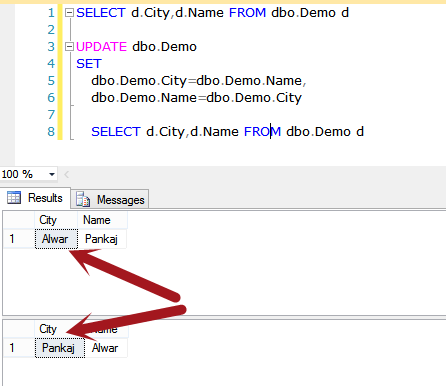 Using sp_msforeachtable system stored procedure we enable and disable all triggers for a database. 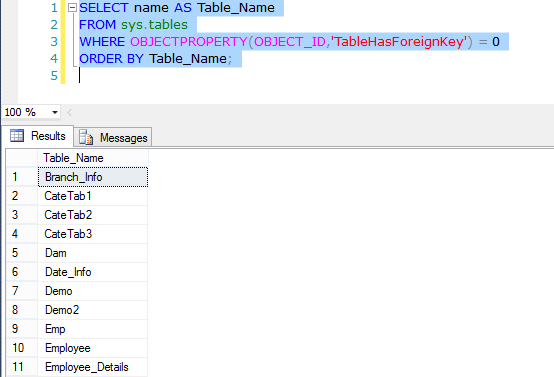 Exec sp_msforeachtable "ALTER TABLE ? 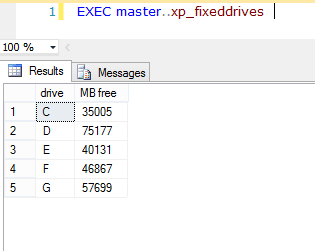 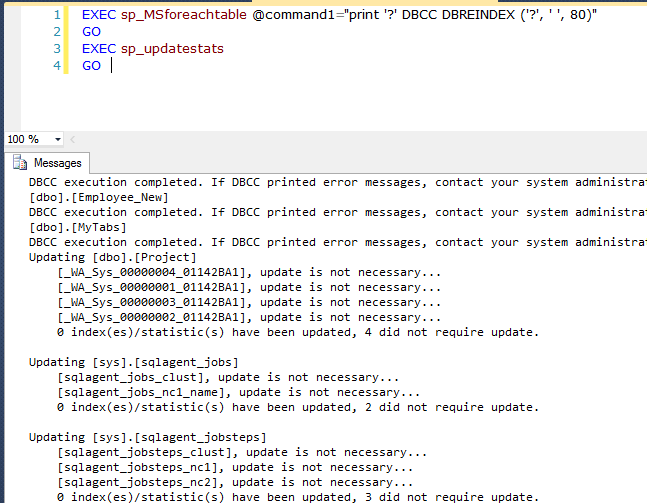 DISABLE TRIGGER all"
Exec sp_msforeachtable "ALTER TABLE ? 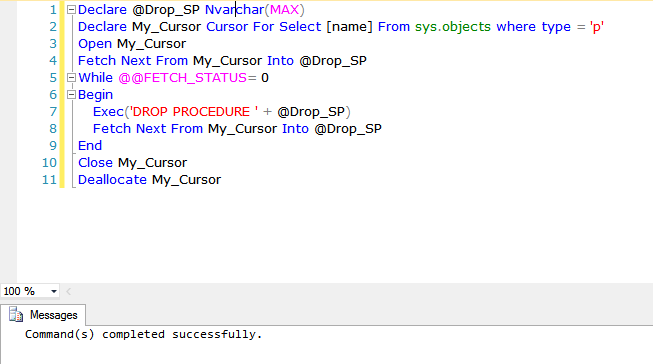 ENABLE TRIGGER all"